Noilly Prat Dry Vermouth is a popular Vermouth and Aperitifs available from Waitrose Cellar in 75cl to buy online. Visit Waitrose Cellar for the best price for 75cl of Noilly Prat Dry Vermouth or compare prices on our other Vermouth and Aperitifs products. This wonderful Vermouth is made from fine selection of white wines that are seasoned outdoors in oak casks exposed to the Mediterranean sun, sea and wind for 12 months. The sharp, full-bodied wines are then fused with the fragrant mix of 20 botanicals and zests macerated directly in the wine for three weeks. Best served chilled on its own, with a mixer or in cocktails. 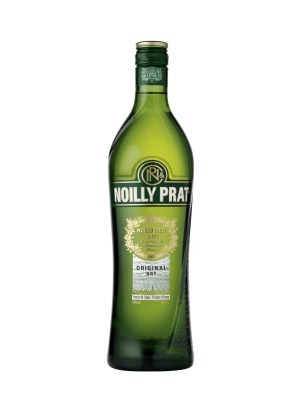 Where to buy Noilly Prat Dry Vermouth ? Noilly Prat Dry Vermouth Supermarkets & Stockists. You can buy Noilly Prat Dry Vermouth online in most retailers and find it in the Vermouth and Aperitifs aisle in supermarkets but we found the best deals online for Noilly Prat Dry Vermouth in Waitrose Cellar, DrinkSupermarket.com, TheDrinkShop, 31dover.com, and others. Compare the current price of Noilly Prat Dry Vermouth in 75cl size in the table of offers below. Simply click on the button to order Noilly Prat Dry Vermouth online now.